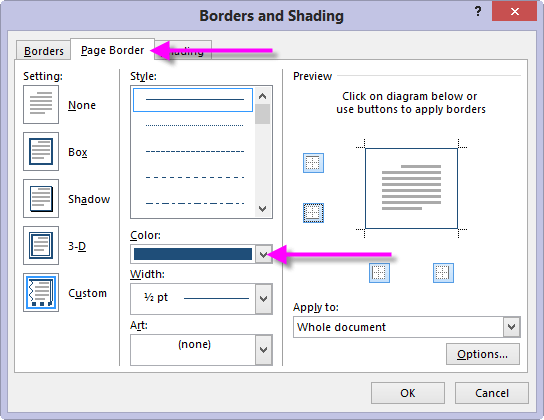 Click Page Borders. This option is on the far right of the menu bar. In the Page Orders tab, click the select the Style, Color. In the Preview section (area on right) click on the buttons to apply borders to each page of the page. Apply it to this section, the first page, or the whole document.